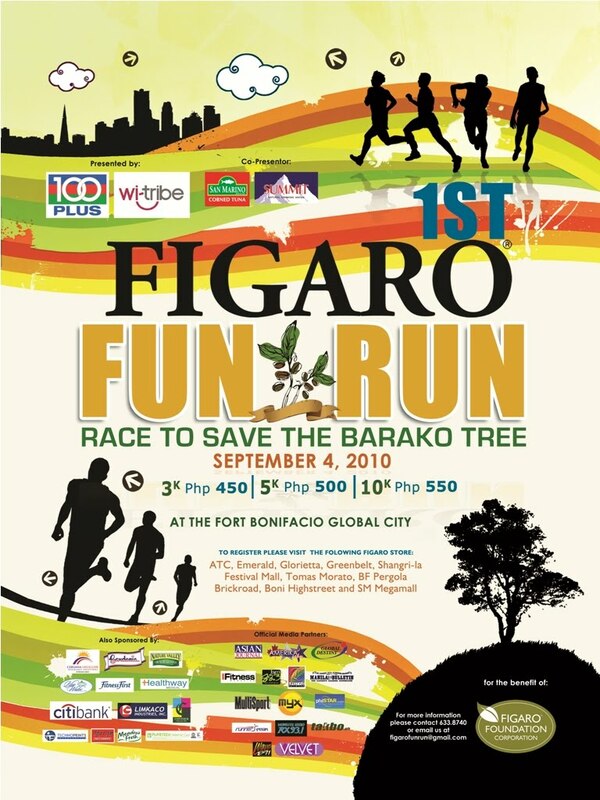 If you still haven't registered your name for the 1st Figaro Fun Run, well, hurry because today, September 1, is the last day of registration for this race to save the barako tree. The claiming of race singlet and bib number will be on August 20, 2010. There will also be a quick breakfast to be served courtesy by selected sponsors and some exciting prizes to be given away on the day of the run. This Figaro Foundation Corporation's project is supported by 100Plus & Summit water, San Marino Brand, Gardenia, Nature Valley, Witribe, Citibank, Cebuana Lhuillier and many more. Or you can visit their Facebook account, Figaro Coffee Company, for more details! It's time to give back to our favourite wake-upper! It's time to save the barako tree!